Bonjour Little Lattes! I’ve got a confession to make and please try not to judge me too harshly… So even though I’ve been submerged in the sneaker lifestyle my entire life, I’ve never owned a pair of Jordans. *gasp* Yes, it’s true. 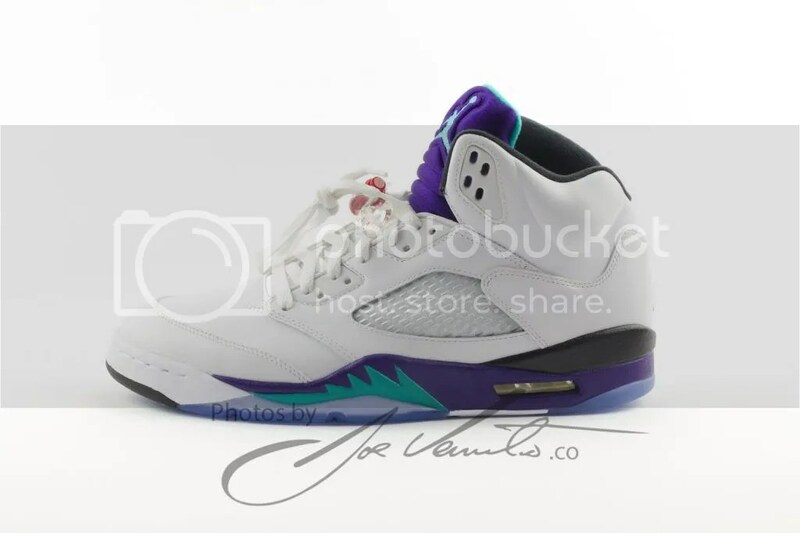 I’ve owned Vans, Converse, Adidas, Nikes, Reebok and many other types of sneakers, but never Jordans. I can’t really say why I’ve never owned a pair – they were always just as popular as they are now and even back in high-school, all of my friends were camping out overnight to make sure they got the latest releases. 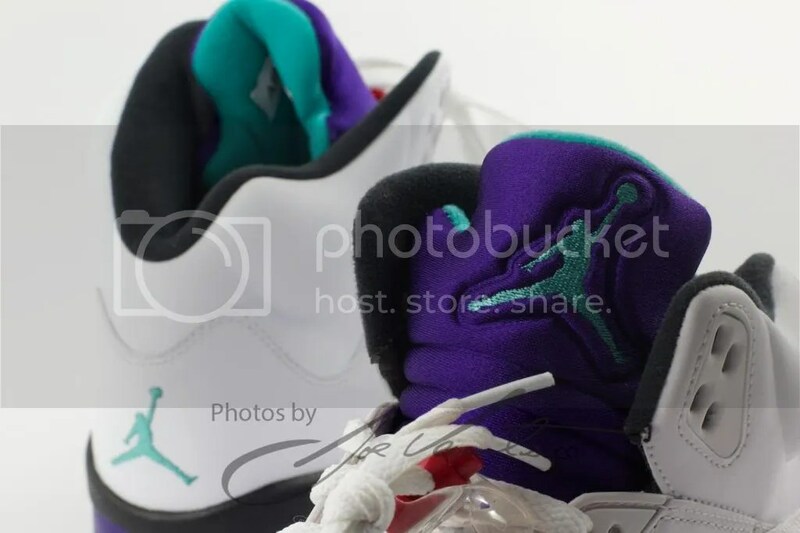 Therefore, with that little back story in mind, it’s only fitting that I start Lipstick, Lace & Lattes’ new “Laced Up” section – a section dedicated entirely to the sneaker fiend – by talking about the first pair of Jordans that I hope to get this year. 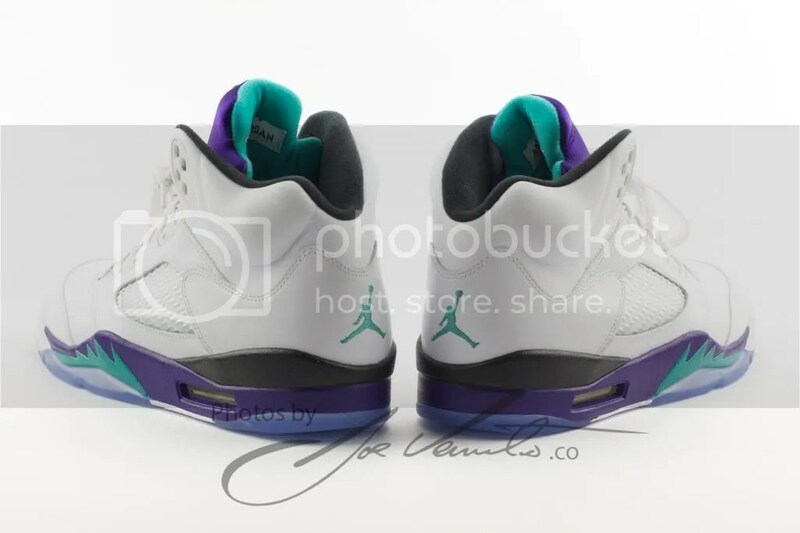 The Air Jordan Retro Grape V’s – which will be released on May 4, 2013 – are the perfect sneakers for the summer! Just in time for the hot weather, the white upper with the ice blue, black and new emerald accents are the perfect colors for any girl (or guy’s) hot weather wardrobe. 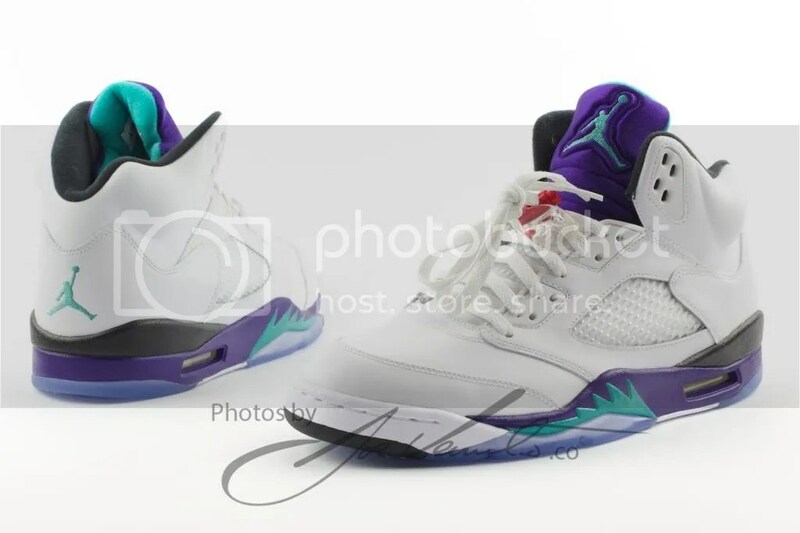 Obviously I’m not a baller so don’t expect any reviews about the shoe’s actual performance (because you’ll be sorely disappointed), but I will tell you this: Aesthetically the Jordan Grape V’s are a solid win. 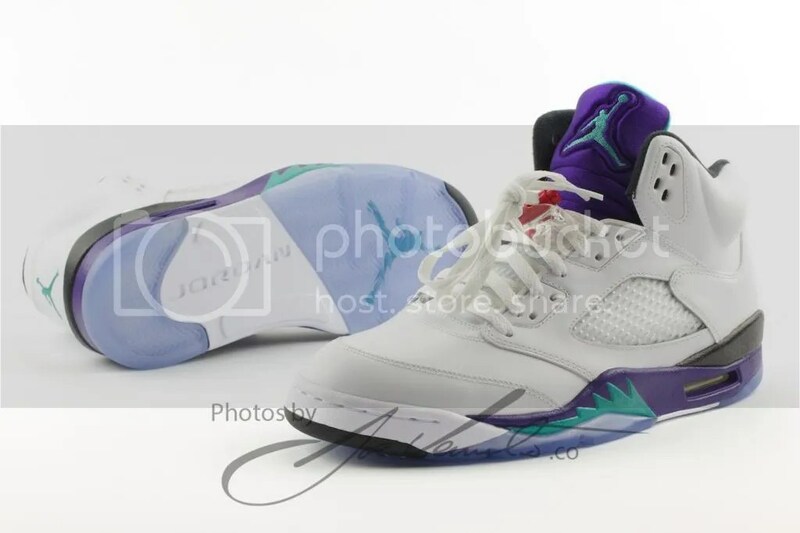 They were first released back in 2006 – and with their side panel nets and clear lace locks – I’m sure everyone’s going to want to add these to the closet. Definitely Bella approved.